Nephrotic syndrome is a clinical disorder characterized by marked increase of protein in the urine (proteinuria), decrease in albumin in the blood (hypoalbuminemia), edema, and excess lipids in the blood (hyperlipidemia). 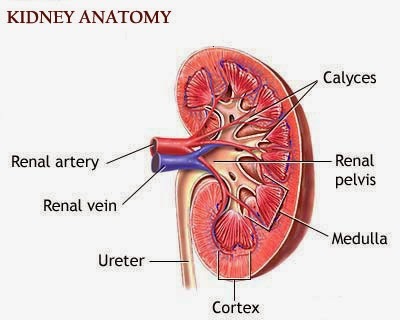 These occur as a consequence of excessive leakage of plasma proteins into the urine because of increased permeability of the Glomerular capillary membrane. Nephrotic syndrome essentials of Diagnosis: Edema, Hypertension, Hematuria with or without dysmorphic red cells, red blood cell casts. The Nephrotic syndrome is marked by massive proteinuria greater than 3.5 g/d, low levels of serum albumin, high levels of serum lipids, and pronounced edema. Acute onset of the disorder can occur in instances of circulatory disruption producing systemic shock that decrease the pressure and flow of blood to the kidney. Progression to the Nephrotic syndrome may also occur as a complication of the previously discussed forms of glomerulonephritis. With minimal change disease (lipid nephrosis or nil disease) in children it’s the main cause of Nephrotic syndrome the glomeruli appear normal by light microscopy. Some tubules may contain increased lipid deposits. Membraneous glomerulonephritis the most common lesion in patients with adult idiopathic Nephrotic syndrome is characterized by uniform thickening of the Glomerular basement membrane containing dense deposits. It can eventually progress to renal failure. Focal glomerulosclerosis can develop spontaneously at any age, follow kidney transplantation, or result from heroin abuse. With membranoproliferative glomerulonephritis, slowly progressive lesions develop in the subendothelial region of the basement membrane. These lesions may follow infection, particularly streptococcal infection. This disease occurs primarily in children and young adults. Other causes of Nephrotic syndrome include All of diseases that increase glomerular protein permeability, which leads to increased urinary excretion of protein, especially albumin, and subsequent hypoalbuminemia. Include metabolic diseases such as diabetes mellitus; collagen-vascular disorders, such as systemic lupus erythematosus and periarteritis nodosa; circulatory diseases, such as heart failure, sickle cell anemia, and renal vein thrombosis; nephrotoxins, such as mercury, gold, and bismuth; infections, such as tuberculosis and enteritis; allergic reactions; pregnancy; hereditary nephritis; and certain neoplastic diseases such as multiple myeloma. Increased permeability of the Glomerular membrane is attributed to damage to the membrane and changes in the electrical charges in the basal lamina and podocytes, producing a less tightly connected barrier. This facilitates the passage of high-molecular-weight proteins and lipids into the urine. Albumin is the primary protein depleted from the circulation. The ensuing hypoalbuminemia appears to stimulate the increased production of lipids by the liver. The lower oncotic pressure in the capillaries resulting from the depletion of plasma albumin increases the loss of fluid into the interstitial spaces, which, accompanied by sodium retention, produces the edema. Depletion of immunoglobulin’s and coagulation factors places patients at an increased risk of infection and coagulation disorders. Tubular damage, in addition to Glomerular damage, occurs, and the Nephrotic syndrome may progress to chronic renal failure. Treatment of causative Glomerular disease Diuretics (used cautiously) and angiotensin converting enzyme inhibitors to control proteinuria Corticosteroids or immunosuppressant agents to decrease proteinuria General management of edema: Sodium and fluid restriction, Infusion of salt-poor albumin, Dietary protein supplements Low-saturated-fat diet If the kidneys lose their ability to function, dialysis may be necessary. Frequently check urine protein levels. Measure blood pressure while the patient is in a supine position and also while he’s standing, be alert for a drop in blood pressure that exceeds 20 mm Hg. If the patient has had a kidney biopsy, watch for bleeding and shock. Monitor intake and output, and check weight at the same time each morning after the patient voids and before he eats and while he’s wearing the same kind of clothing. Ask the dietitian to plan a high protein, low sodium diet. Provide good skin care because the patient with Nephrotic syndrome usually has edema, if needed provide antiembolism stockings To avoid thrombophlebitis, encourage activity and exercise Offer the patient and family reassurance and support, especially during the acute phase, when edema is severe and the patient’s body image changes. Patient’s history, Patients may report no illness before the onset of symptoms some patient have a history of systemic multisystem disease, such as lupus erythematosus, diabetes mellitus, amyloidosis, or multiple myeloma or have a history of an insect sting or venomous animal bite.The patient may complain of lethargy and depression. Your assessment may reveal two common problems: periorbital edema, which occurs primarily in the morning and is more common in children, and mild to severe dependent edema of the ankles or sacrum. Nurses should note orthostatic hypotension, ascites, and swollen external genitalia, signs of pleural effusion, anorexia, and pallor. Obtain history of onset of symptoms including changes in characteristics of urine and onset of edema. Physical examination, Perform physical examination looking for evidence of edema and hypovolemic. Assess vital signs, daily weights, intake and output, and laboratory values. In later stages, inspect the patient for massive generalized edema of the scrotum, labia, and abdomen. Pitting edema is usually present in dependent areas. The patient’s skin appears extremely pale and fragile. You may note areas of skin erosion and breakdown. Often, urine output is decreased from normal and may appear characteristically dark, frothy, or opalescent. Some patients have hematuria as well. Hydration, Maintain adequate fluid balance as evidenced by vital signs and weight within client’s normal range, palpable peripheral pulses, moist mucous membranes, and good skin turgor. Monitor daily weight, intake and output, and urine specific gravity. Rationale: Comparing actual and anticipated output may aid in evaluating presence and degree of renal stasis or impairment. Monitor CVP (if indicated), vital signs, orthostatic blood pressure, and heart rate to detect hypovolemic. Rationale: Indicators of hydration and circulating volume and need for intervention. Monitor serum BUN and creatinine to assess renal function. Rationale: Elevated BUN, Cr, and certain electrolytes indicate presence and degree of kidney dysfunction. Administer diuretics or immunosuppressant as prescribed, and evaluate patient’s response. Rationale: May be used short-term to reduce tissue edema to facilitate movement of stone. Infuse I.V. albumin as ordered. Rationale: NS is associated with significant protein loss. Serum albumin levels below 3.4 g/dL suggest need for IDPN infusions. Encourage bed rest for a few days to help mobilize edema; however, some ambulation is necessary to reduce risk of Thromboembolic complications. Rationale: Edematous tissues are more prone to breakdown. Elevation promotes venous return, limiting venous stasis and edema formation. Enforce mild to moderate sodium and fluid restriction if edema is severe; provide a high-protein diet. Rationale: As fluid is pulled from extracellular spaces, sodium may follow the shift, causing hyponatremia. Immune Status, Experience no signs or symptoms of infection. Monitor for signs and symptoms of infection. Rationale: Fever higher than 100.4°F (38.0°C) with increased pulse and respirations is typical of increased metabolic rate resulting from inflammatory process, although sepsis can occur without a febrile response. Monitor temperature routinely; check laboratory values for neutropenia. Rationale: A shifting of the differential to the left is indicative of infection. Use aseptic technique for all invasive procedures and strict hand washing by patient and all contacts; prevent contact by patient with persons who may transmit infection. Rationale: Reduces risk of cross-contamination. Monitor effectiveness of antimicrobial therapy. Rationale: within 24 to 48 hours Signs of improvement in condition should occur. Patient Teaching Discharge and Home Healthcare Guidelines for patient with Nephrotic syndrome. The most common sign of Nephrotic syndrome is mild to severe edema of the ankles or sacrum, and periorbital edema, especially in children. Edema may lead to ascites, pleural effusion, weight gain, and high blood pressure. Accompanying signs and symptoms include orthostatic hypotension, lethargy, anorexia, depression, and pallor. Major complications are malnutrition, infection, coagulation disorders, Thromboembolic vascular occlusion, and accelerated atherosclerosis. Explain that they need to monitor the urine daily for protein and keep a diary with the results of the tests. Have the patient or family demonstrate the testing techniques before discharge to demonstrate their ability to perform these monitoring tasks. Instruct the patient and family to avoid exposure to communicable diseases and to engage in scrupulous infection control measures (e.g. frequent hand washing). Encourage patients with hypercoagulability to maintain hydration and mobility and to follow the medication regimen. Inform patients on anticoagulant therapy of the need for laboratory monitoring of activated partial thromboplastin time or prothrombin time. Caution patients who are receiving steroid therapy to take the dosages exactly as prescribed, explain that skipping doses could be harmful or life-threatening. In cases of long-term steroid therapy, explain the signs of complications, such as GI bleeding, stunted growth (children), bone fractures, and immunosuppressant. If the patient is taking immunosuppressant, teach him and family members to report even mild signs of infection. If he’s undergoing long-term corticosteroid therapy, teach him and family members to report muscle weakness and mental changes, Caution patients who are receiving steroid therapy to take the dosages exactly as prescribed, explain that skipping doses could be harmful or life-threatening. In cases of long-term steroid therapy, explain the signs of complications, such as Gastrointestinal GI bleeding, stunted growth (children), bone fractures, and immunosuppressant. Suggest to the patient that he take steroids with an antacid or with cimetidine or ranitidine, to prevent Gastrointestinal GI complications, explain that the adverse effects of steroids subside when therapy stops, but warn the patient not to discontinue the drug abruptly or without a physician’s consent. Show the patient how to safely apply and remove anti-embolism stockings, If the physician prescribes anti-embolism stockings for home use. Encourage patients to resume normal activities as soon as possible.